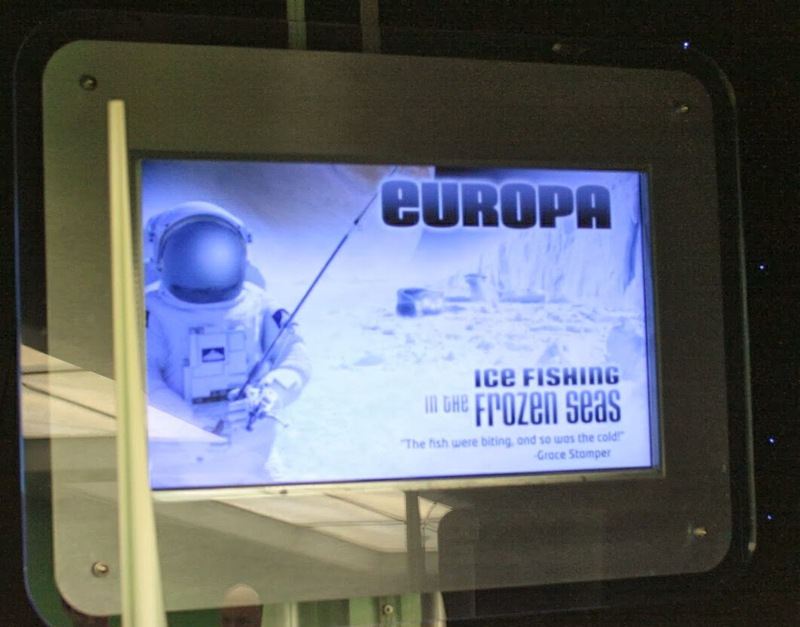 Somewhat-new video screens at the exit upramp to Space Mountain (in Orlando) show astronauts in posed scenes with some fake quotes. 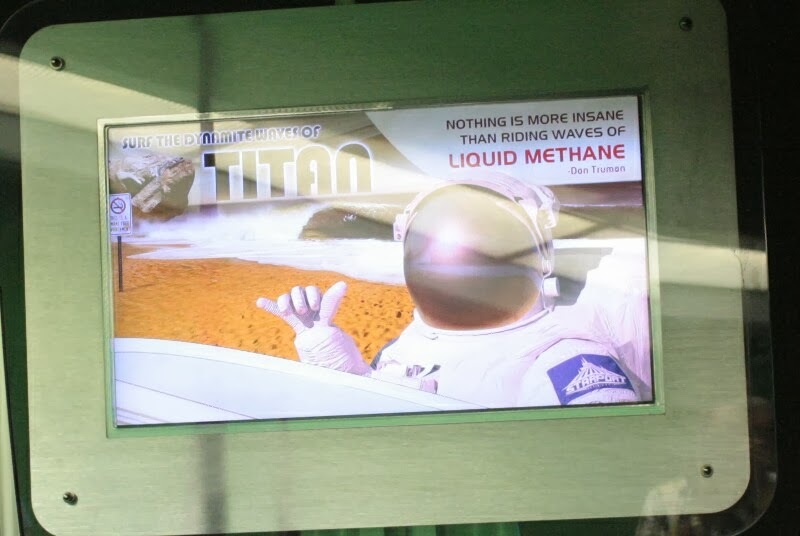 The names attributed to those quotes - Commander Dan Truman and Grace Stamper, are characters from the Disney movie Armageddon (1998)--played by Billy Bob Thornton and Liv Tyler, respectively. 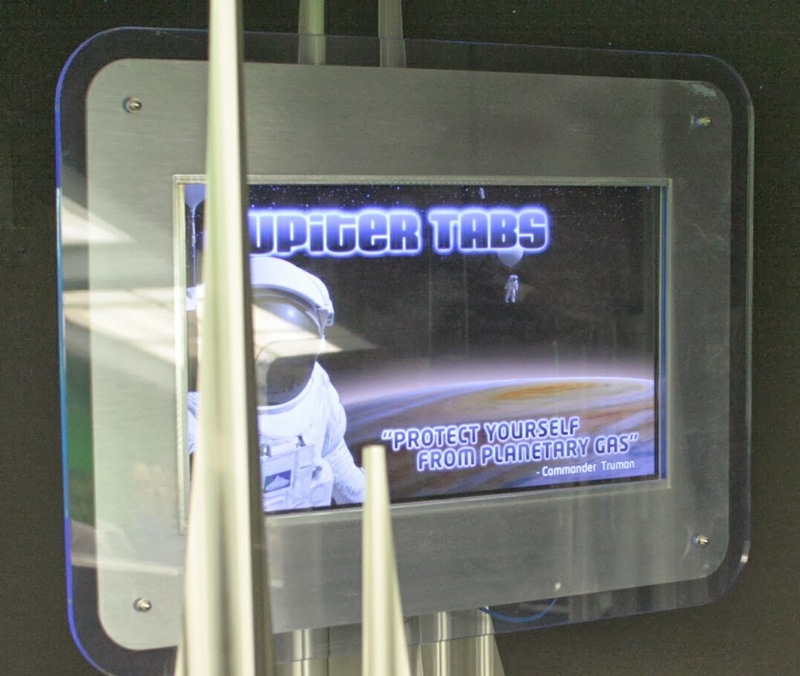 These screens are likely part of the personalization effects that will come from MagicBands in the near future.